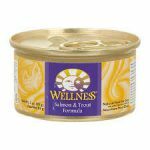 Out of an abundance of caution, Wellpet has issued a voluntary recall on seven SKUs of their Wellness canned cat products. They were notified this week that a very small amount of this product may not have been manufactured to their high quality standards. The following are the lot codes affected. If you have any of the following products, please return them to Braxton’s.